Baltimore City State's Attorney Marilyn Mosby announced Tuesday that prosecutors will no longer prosecute marijuana possession. Mosby said the policy change is a major shift and that families have been destroyed by what she calls the so-called "War on Drugs." She said there's no violent crime associated with marijuana possession. "Even though white and black residents use marijuana at the same rate, the laws disproportionately impact communities of color," Mosby said. Mosby said she will vacate thousands of cases involving marijuana possession, but will prosecute intent to deliver cases. "The statistics are damning when it comes to the disproportionate impact that the 'War on Drugs' has had on communities of color. 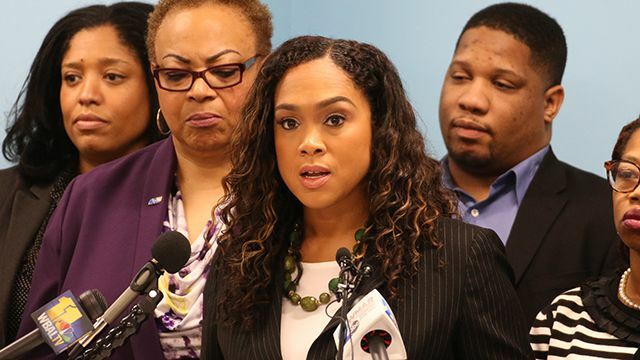 As your state's attorney, I pledged to institute change and I refuse to stand by and be a facilitator of injustice and inequity when it is clear that we can be so much smarter and do so much more on behalf of the people we serve," Mosby said in a statement.